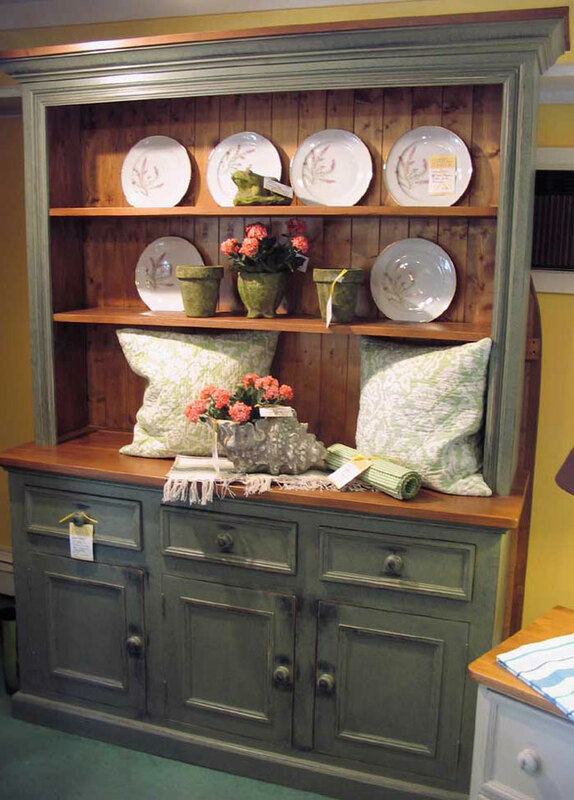 Sage is a milk paint finish. 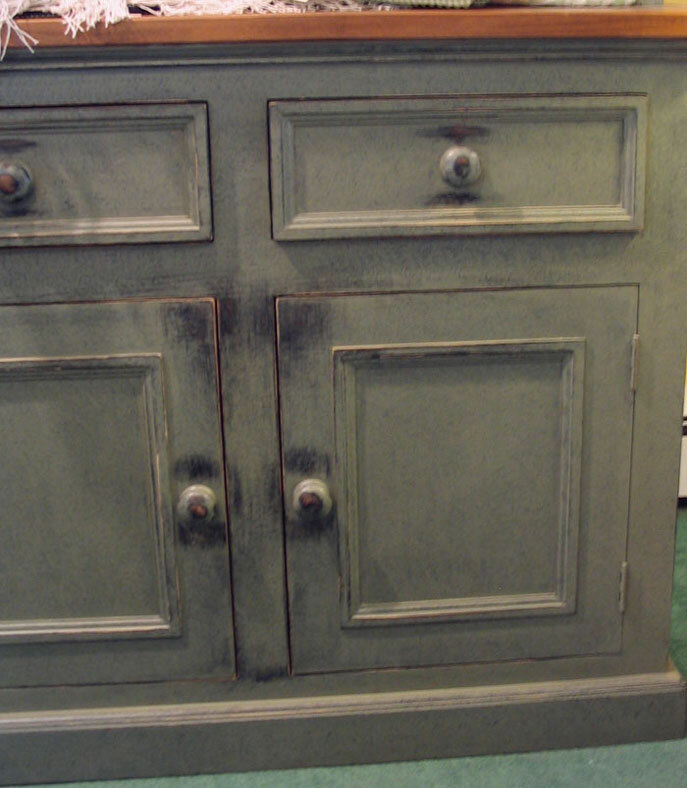 Sage is produced by painting a base coat of Black and a top coat of Acadia Pear. When we rub the paint the Black undercoat comes through. The color is green and can offer a hint of blue. The item shown is a 3 Door Open Stepback Cupboard.